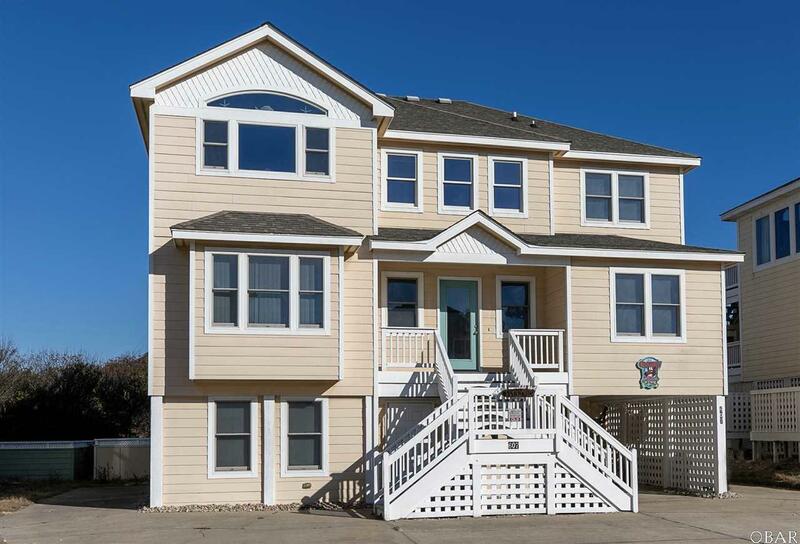 If you've been waiting for a truly turn-key oceanfront home with all the amenities for great rental and family enjoyment, this is the one. Nine bedrooms, eight full bathrooms, elevator, private pool, hot tub, gameroom, ocean views, and more. This well-maintained home features three levels. The ground level is a large gameroom and family area with a kitchenette and refrigerator, a master bedroom and bathroom, and two more bedrooms that share a hall bathroom. There's also sliders from this level that lead to the fully-fenced outdoor pool, hot tub, outside shower, and patio and grill area. The second level features FIVE MASTER BEDROOMS with their own bathrooms! 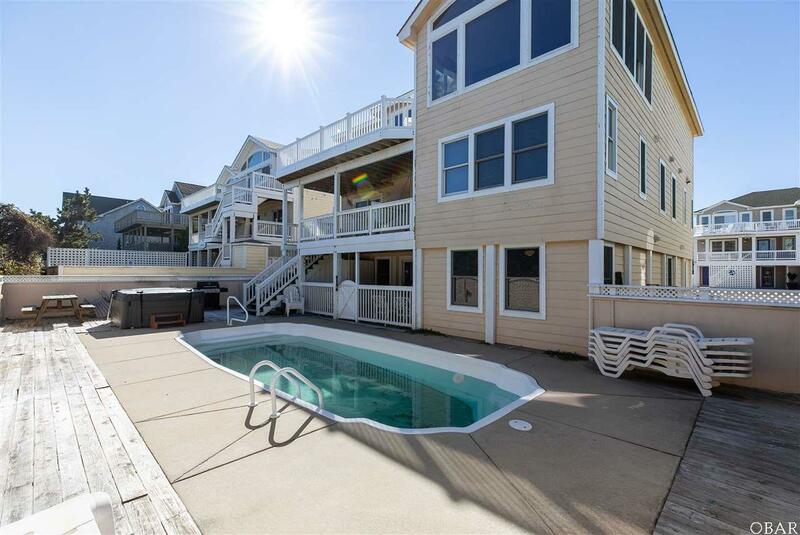 Plenty of oceanfront/poolfront decking on this level, and sliders from the east-facing bedrooms onto the decks. The top level features an open-concept great room with cathedral ceilings and plenty of large windows to see the expansive ocean views! The large kitchen has two refrigerators, two dishwashers and two ovens! Perfect for group entertaining and large families. The dining space is right off the kitchen, with a large table for all the guests, and ocean view dining. There's a master bedroom and master bathroom also, with the master leading out to an oceanfront deck. There's also a 1/2 bath on this level, and a gas fireplace. Two new HVAC units in 2016. 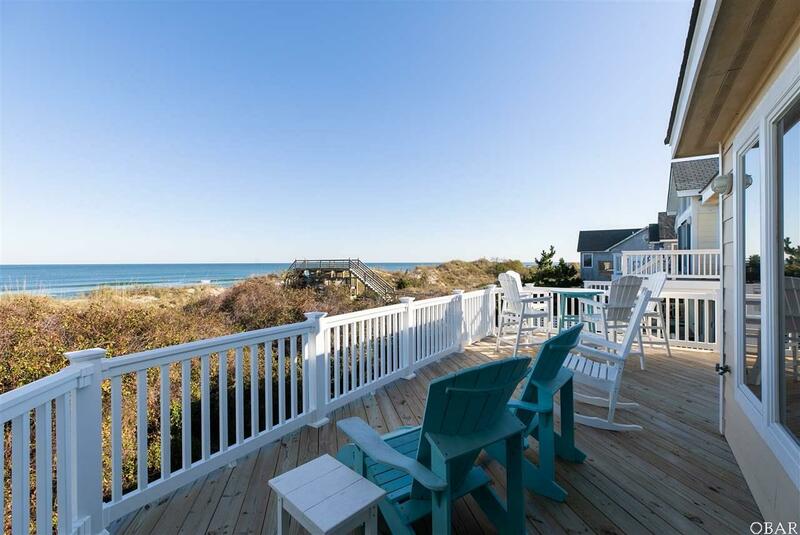 Enjoy the wide beaches of Corolla right in your backyard, with a large stable dune for protection. Such a great location for families and for investment. A truly well-loved home that's ready for a new owner. Two new HVAC units in 2017. New top deck and rails in 2018. New hot tub, 2 new refrigerators, 2 new dishwashers, new washing machine in 2017/2018. Over 93k in rental income booked already for 2019. 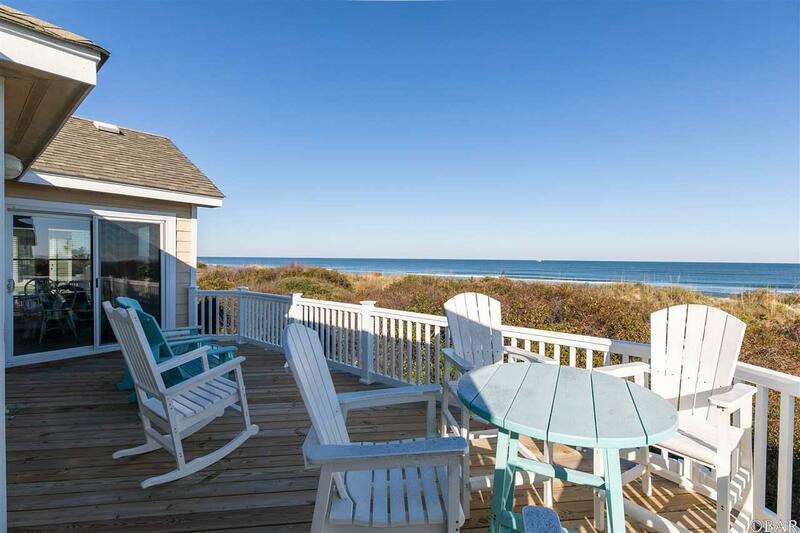 Listing courtesy of Jeanne-Marie Destefano of Keller Williams - Obx.